Let the games begin! 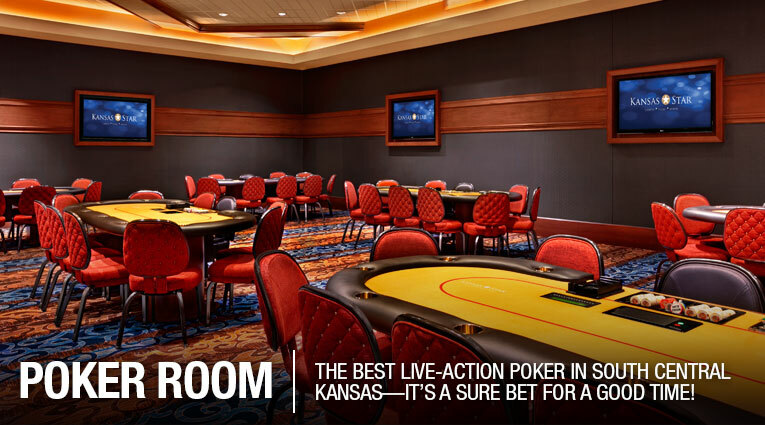 From the high-energy action of craps to a strategic hand of poker, there’s no place that serves up excitement like the Kansas Star Casino. We do it in style…Vegas-style, that is! Enjoy live dealers for all of our games, including craps and roulette, and a classic game of Blackjack with no ante – just like Vegas! Make it your lucky day at any of our over 50 exciting table games. Choose from Blackjack, Mississippi Stud, Mini-Baccarat, Roulette, Three Card Poker, Fortune Pai Gow Poker, and Ultimate Texas Hold’Em. We offer excitement for every level of player! Two of the most popular casino games have merged into a single exciting game experience! 21+3 Blackjack combines a classic blackjack game with an exhilarating three card poker side bet that pays up to 9 to 1. Three Card Poker, Ultimate Texas Hold’em, Mississippi Stud, Fortune Pai Gow, and Dragon Bonus on Mini Baccarat are trademarks used under license from SHFL Entertainment, Inc.